BANGKOK - Stiff sentences handed out this week in one of Vietnam's most high-profile court cases have bolstered communist party chief Nguyen Phu Trong's anti-corruption drive. Fallen Politburo member Dinh La Thang, 57, was sentenced to 13 years in jail and his former subordinate Trinh Xuan Thanh at state energy enterprise PetroVietnam was imprisoned for life. Both were convicted of economic mismanagement, while Thanh, 51, was also found guilty of embezzlement. Thanh, a former provincial leader, was allegedly kidnapped from Germany to face charges in Vietnam, though Hanoi says he turned himself in. Vietnam's state-controlled media have portrayed the convictions as an example of impartiality of the law. On Monday (Jan 22), when the sentences were handed down, the Vietnamese premier was reportedly reviewing plans for the central steering committee on combating corruption, which he chairs. "The party must be decisive in removing dishonest and corrupt officials from the party and government. It has to cleanse the system," he said. Analysts have linked the clampdown on corruption with a political purge. Some have drawn parallels between Mr Trong's anti-corruption drive with that of Chinese President Xi Jinping, noting how their clampdown on wayward officials also tightened their grip on power. Mr Pham Chi Dung, who heads the Independent Journalists' Association of Vietnam, likened the prosecution of Thang to that of former Chinese politician Bo Xilai. Thang was the chairman of PetroVietnam before he became transport minister in 2011, and then party chief of Ho Chi Minh City. Bo, the former party chief of Chongqing province, was an outspoken rising star like Thang. He was stripped of his positions, including his politburo seat, and jailed for life after being convicted of corruption in 2013. Unlike Bo though, Thang was not convicted of corruption specifically, but for "deliberately acting against the state's regulations on economic management, causing serious consequences". Prosecutors said PetroVietnam, under the leadership of Thang, did not follow due bidding process before awarding PetroVietnam Construction - a PetroVietnam subsidiary then headed by Thanh - a contract to build a thermoelectric plant. Thang was arrested last year and convicted under the provisions of a penal code which has since been replaced by a new one this year. The same charge of mismanagement Thang faced was also brought against key banking executives being tried separately for violating banking regulations. Some analysts have wondered if the reliance of this specific clause would dilute the legitimacy of the anti-corruption drive. Retired scholar Nguyen Quang A drew a distinction between corruption and bad business decisions. "When you make an investment, you take a risk. 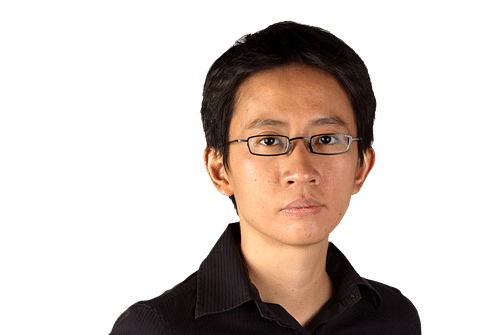 That cannot be a crime," he told The Straits Times. Thanh is expected to stand trial on Wednesday (Jan 24) on separate embezzlement allegations related to another PetroVietnam subsidiary. He could be sentenced to death. Hanoi is keeping a tight lid on criticism of the government amid its anti-graft drive. Last year, a 24-year-old student who blogged about corruption was jailed six years for spreading propaganda against the state. According to VNExpress newspaper, Vietnam's anti-corruption panel wants to try 21 cases this year and open investigations into 21 more incidents. It remains to be seen if the campaign will result in structural reform.